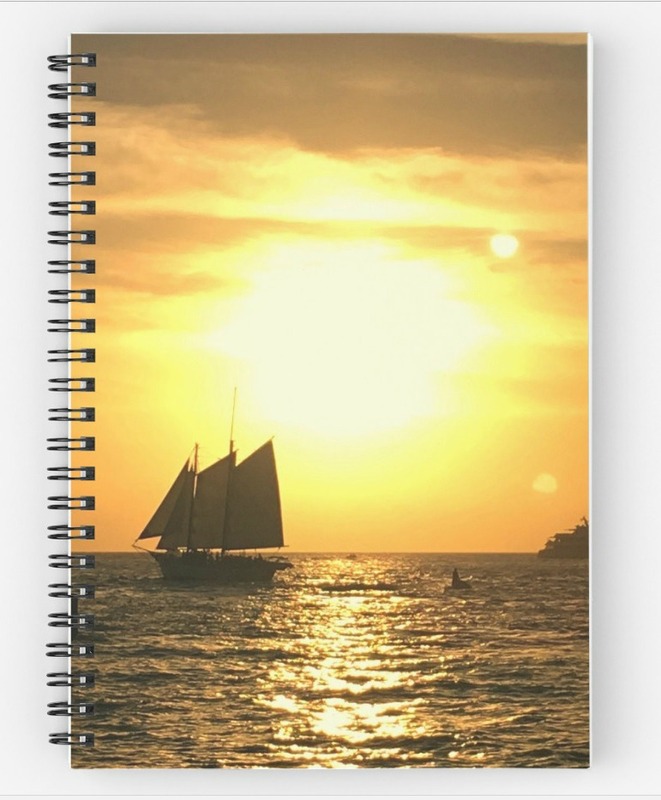 If you’re new to both Zazzle and RedBubble, I urge you to read the additional posts that I will list at the bottom of this one that will explain Zazzle further. If you love one, you’ll love the other! With that said, RedBubble is way easier than Zazzle, so it’s the best place to start. RedBubble is a print-on-demand site that allows people to customize and purchase items (like T-shirts, notebooks, stickers, etc) that they have either designed themselves or that have been designed by other users (in this case, you!). When someone purchases a product that has one of your designs, you get a portion of the sale. RedBubble handles all of the fulfillment and customer service, so you don’t need to do anything else. Once your design has been uploaded and configured properly, you just wait for the money to roll in! Will RedBubble Be Worth Your Time? This is an important question to ask, especially if you’re diving into this with the purpose of making extra money. First and foremost, RedBubble does not cost you anything. So all you really have to lose is your hard-earned time. If this is something you will enjoy, then there’s no reason not to give it a try! If your prime focus is the money though, then you need to know what you’re doing and you need to create quality products. I’ll give you as many tips as I can, but making a lot of money on platforms like this takes a certain amount of skill, knowledge, and a little dumb luck. 😉 But it’s certainly possible. Ok, time to make the magic happen! As with most online platforms, to get started you will need an email address to create your account. You will then need your first image to upload. There are basically three routes to take with your images – either a photograph, an image you’ve uploaded (like a drawing), or one that you’ve created digitally. Regardless of what medium I use, I always freshen it up online first. I almost always use PicMonkey, but there are other photo/image editing tools that can do the same thing. But remember, quality is important! So I urge you to make sure your image is top-notch before moving forward. This is an example of an image that was created with a transparent background. 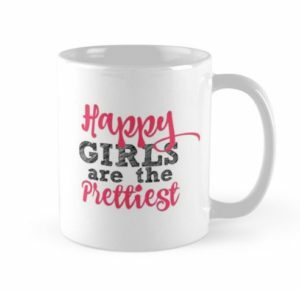 Just as with clothing, mugs almost always do better with images that have a transparent background! 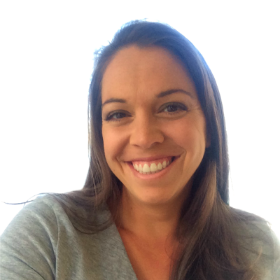 If you’re using a photograph, make sure you optimize it first! As I said earlier, the editing tool that I recommend is PicMonkey, but even editing on your phone will go a long way. If you are going to create a digital image, consider making something that has a transparent background. This will make it much easier to put your image on more products. Large dimensions are the best! If your image has small dimensions, you will be limited by the products you can use. RedBubble couldn’t possibly make this part any easier. They’ve got some brilliant people over there! To upload your first work, hover over the little man in the top right hand corner and click on Add New Work. You’ll be taken to a screen with one big option in the center – Upload to all products. Click on that and upload your image! You want to take a look at each potential product to decided if you want to edit them and if you need to enable or disable them. Notebooks are a good example of products that work really well with photography. Make sure your image is centered properly on the products. Certain items (like phone cases) almost always need a little editing to make sure the image fits properly. Clothing items almost always look best when an image has a transparent background, so if you’re using a photograph, you may want to stick with non-clothing products. You don’t want to enable everything just for the heck of it, so make sure you only enable products that actually look good! After you’ve gone over each product, you will need to add a title, description, keywords, and answer a few more questions about your image and then you publish! Once you’re done creating your products and have hit the publish button, your products will enter the marketplace! One of the things I love about RedBubble (and same goes for Zazzle) is that they do marketing on their own, so you technically don’t need to do anything for your products to get viewed (they can also show up on search engines). But of course, if you want to market them on your own, all the better! When one of your products sells, you get an email immediately telling you what sold and how much you made from it. 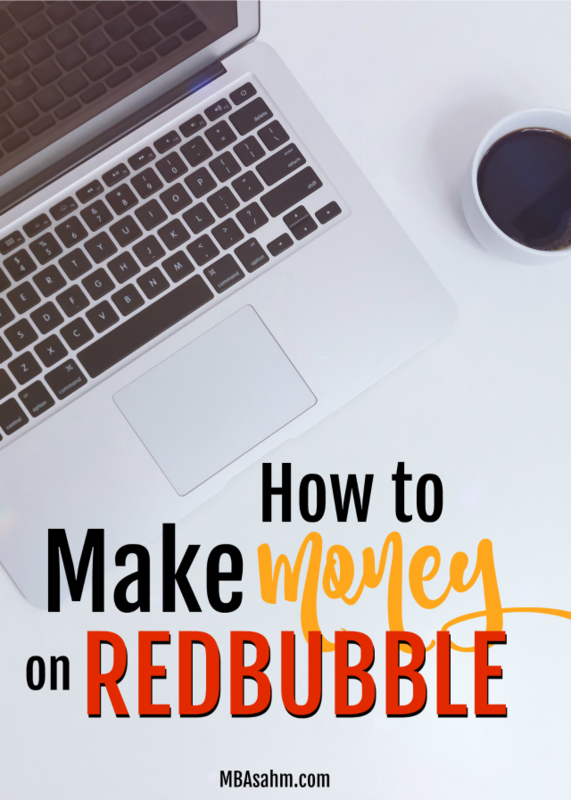 One thing that I LOVE about RedBubble that differs from Zazzle (and a ton of other online money creation endeavors) is that RedBubble pays you every month regardless of how much you made – no minimum whatsoever! Here are some additional posts that can help you get going with ideas and tips for using Zazzle. A lot of these ideas can also work on RedBubble as well though, so I urge you to take a look! Good luck to you! 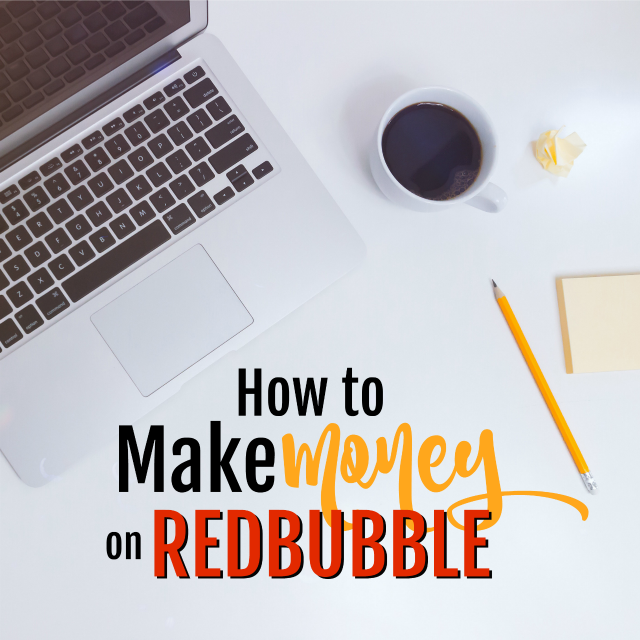 Let me know if you have any questions or other tips for making money on RedBubble! Wow this is definitely something I need to look into! Love this!